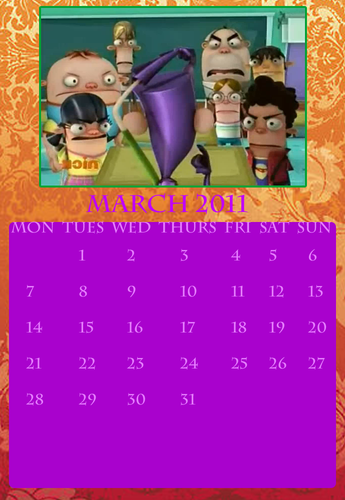 fbacc calendar march 2011. . HD Wallpaper and background images in the Fanboy ''N'' Chum Chum club. 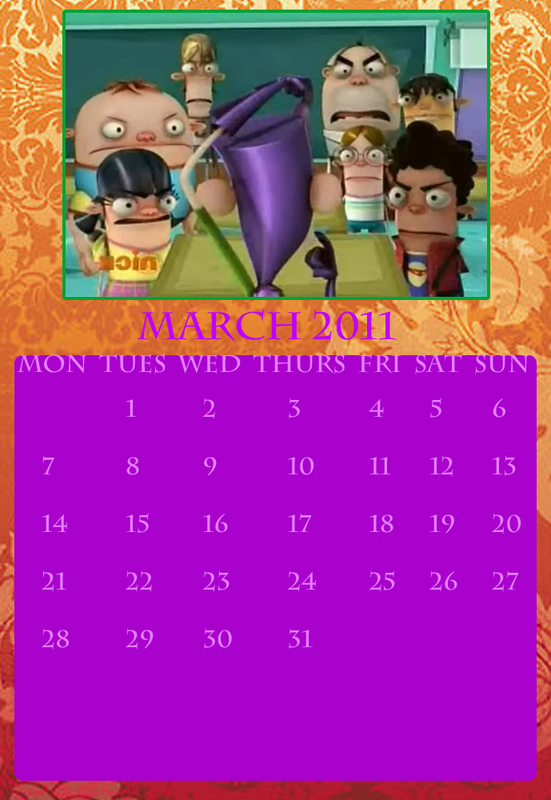 This Fanboy ''N'' Chum Chum photo might contain signo, cartel, texto, pizarra, letrero, animado, cómic, manga, historieta, anime, and dibujos animados.